Are you used to staring at the red patches of acne on your skin and the dark marks left behind by them? No matter what you apply, do they keep coming back to haunt you and gnaw away at your self confidence? If yes, then it is about time you took the matter into your hands to work on the cause of the acne, which is toxins in the body. We subject our body to so much abuse in the form of junk food, oils and spices that all those toxins manifest themselves as imperfections in your skin. The best way to deal with them is to cleanse your system from within. So what’s all the deal about internal cleansing for acne? Read on to find out! Why internal cleansing for acne? Everyday we binge on so much junk food – oily food, starch and sugar – empty calories that don’t really do much good to the body. The toxins from the food get accumulated in your liver and colon and manifest themselves as eruptions on your skin. Imagine all the oils and sugar from your food loading up inside your system. Not just the food, your face has acne probably because your hormone balance is off. Since your liver is responsible for detoxing the hormones, it is bound to have a tough time dealing with the excessive estrogen. If you want to help your liver get rid of all that estrogen, then a liver cleanse if the only way out. Don’t you think that a flawless clean face will only come from a squeaky clean system underneath? If you agree with that, then you will appreciate the need to cleanse the body once in a while to rid it of all the accumulated toxins. 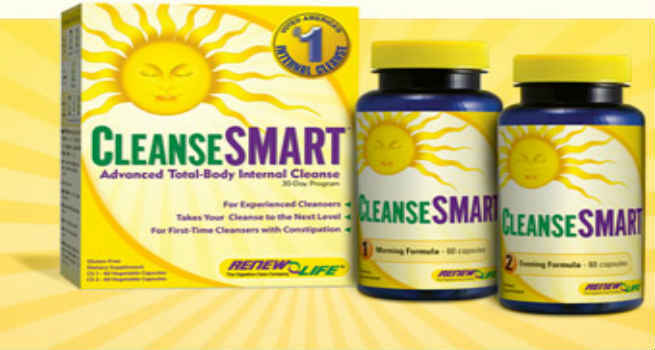 How to do internal cleanse? The most effective way of cleansing is to use cleansing supplements. Bentonite is a liquid that helps in eliminating any kind of toxins from the body. You could even use Psyllium which comes in the form of husks and is commonly used to treat constipation. All you need to do is to take them according to the instructions that come with them. There are also many OTC supplements available that cleanse your liver and colon without making too many modifications to your diet. Another option is to consume more of cleansing foods like ginger, green tea, carrots, honey, turmeric, lemon, beets and broccoli. These ingredients help in flushing out toxins from your system and also in keeping you healthy. You would have to follow a strict diet that comprises only these nutritious cleansing ingredients raw or parboiled for a period of two to three weeks. A popular way of cleansing is to spend a week or two on a “juice fast” wherein you have upto 40 ounces of juice through the day in multiple servings. All you need to do is to pick colorful fruits and vegetables, get out your blender and get innovative with it. Mix in any ingredients of your choice. Sugar is a no-no. Simply keep sipping on the juice to flush the toxins away from your body. While it is always good to start out with the intention of losing weight, you must also check if your body is capable of adapting to herbal supplements or taking in something as drastic as a juice fast. It is always better to run it through your physician before you embark on a cleansing routine. That said, it is an effective way to cleanse your system, to lose weight and to clear out your skin. If you can, you should try a cleansing regime and you are bound to discover flawless skin.